Blending literary elements into a thrilling page-turner, Karen Hugg’s latest novel, The Forgetting Flower, is going to be a summer beach-bag necessity. Secrets and half-truths. These litter Renia Baranczka’s past, but the city of Paris has offered an escape and the refuge of a dream job. The specialty plant shop buzzes with activity and has brought her to a new friend, Alain. His presence buffers the guilt that keeps her up at night, dwelling on the endless replays of what happened to her sister. All too suddenly, the City of Light seems more sinister when Alain turns up dead. His demise threatens every secret Renia holds dear, including the rare plant hidden in the shop’s tiny nook. It emits a special fragrance that can erase a person’s memory—and perhaps much more than that. As Renia races to figure out the extent of the plant’s powers, she’s confronted by figures from her past who offer a proposal she can’t outright refuse. Bit by bit, she descends into a menacing underworld of blackmarket mobsters, navigating threats and fending off abuse to protect the safe peaceful life she’s worked so hard for. Desperate to outwit her enemies, Renia maneuvers carefully, knowing one wrong move will destroy not only the plant, but the lives of her sister and herself. A layered mystery with soul, Renia’s story digs deep into the world of crime and the complicated bond sisters share. 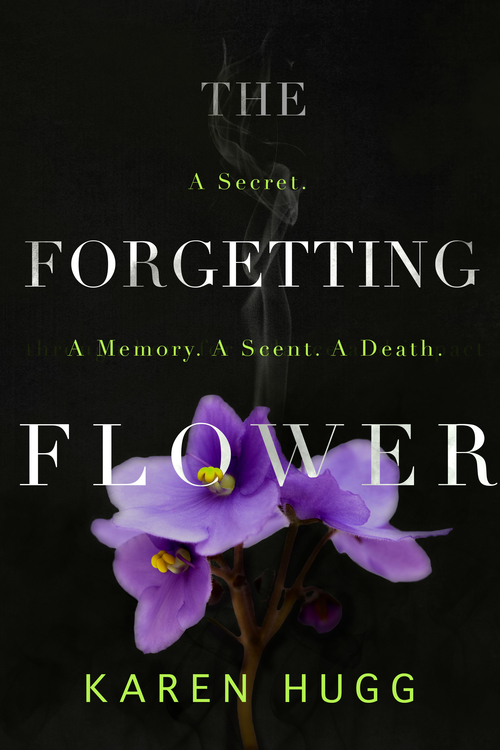 The Forgetting Flower will be published in both paperback and e-book June 18, 2019, but you can pre-order the e-book now on Amazon. Sign up with your email address to receive the latest news, free books, and more!